I'm going to live by this quote at least for right now. I'm always trying to improve in life. Improve in everything that I do because I want to be the best that I can be! With that plus being so indecisive (a curse that's very bad to have in life...) it's hard just choosing one thing and sticking to it. Hence the 4 blogs and what...6-7 YouTube accounts I've had over the past 4 years...Sometimes I have to find loop holes in things like blogging and YouTubing when choosing the names for things like these. Nevertheless, Welcome to the new and improved GirlMeetsFashion.com. Now known as ElizzabethHope.com aka Life According To Lizz! Life According To Lizz is all about my life and what I'm up too! Kind of like an online journal I'm posting for the world to see. I'm not going to get too into my life but you'll see my outfits, new makeup looks I like to try out, music playlists for every occasion, inspiration and DIY projects. Also what me and my best friends are up to because we can get pretty crazy sometimes. Well, I hope you like the new blog! Sorry if I'm confusing a lot of people! Here's a link of all my official links for now! YOUTUBE - http://www.youtube.com/user/elizzabethhope - yes I'll be posting all my videos on this YT for more on! But you can see all of them here on my blog! BLOGLOVIN - http://www.bloglovin.com/elizzabethhope - make sure you follow this one because I had to reclaim my blog name and lost all my followers :( I will deff follow back anyone who follows me on this!!! Ok, that is it for now!!! I have to go and sew pants before I go back to school. Real talk. True Talk. Hope everyone's Easter was great and the bunny was extra special towards you! 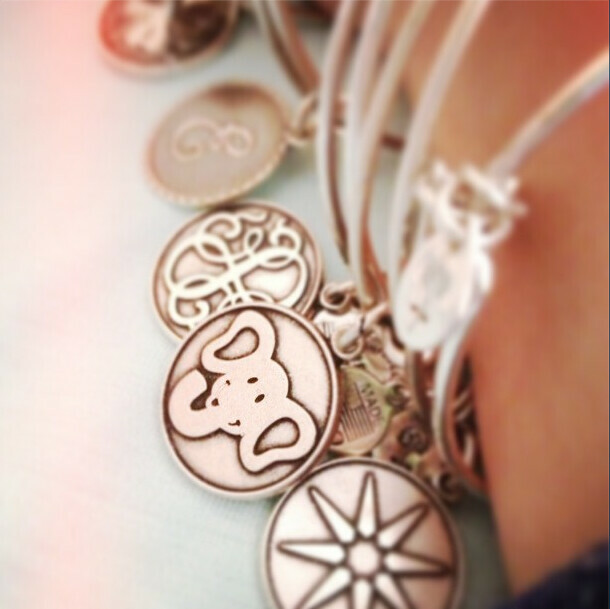 I got a new Alex and Ani charm from the easter bunny! Knows me all to well! It's the elephant because I love elephants! Yey! I like your new blog! I sometimes feel like changing my blog but my sister tells me that I should stay with my name (The Funky Fashionista). By the way, who designs your blog ? I really want to update my blog. you definitely know what you're doing. Beautiful blog site - love the look! Perhaps we could follow each other? Following you now, hope to see you back!